Author Interview: Author Holly Robinson Talks About Emotion, Mystery, and Names—Oh My! You are here: Home / Holly Robinson / Author Interview: Author Holly Robinson Talks About Emotion, Mystery, and Names—Oh My! 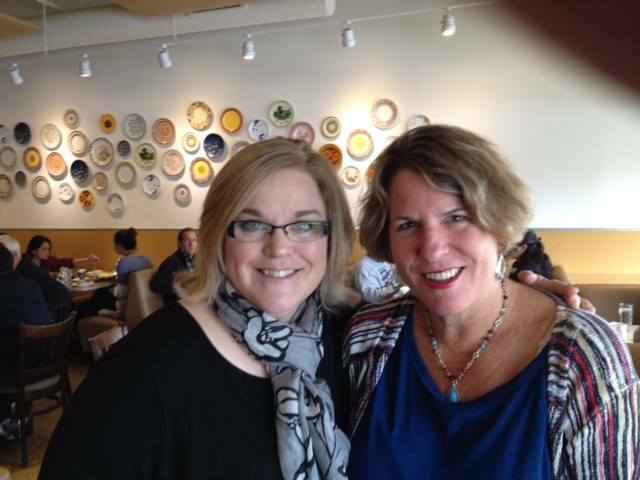 Sometimes you just click with someone, and that’s how it was for me and my friend, author Holly Robinson. I’m not sure even how or when we first connected, likely due to her first novel with NAL, The Wishing Hill, which was published around the same time as The Glass Wives. TODAY, Holly is launching her third novel with NAL, HAVEN LAKE (and has another coming out in the Fall, OMG). The best part of interviewing an author-friend is learning new things about her, her writing, her stories. They’re not usually the kinds of things that come up in casual phone conversations, but they’re the things I want to know and the kinds of interviews I want to share here. Holly’s novels are family dramas strewn with emotion and mystery. Family secrets are woven through each one, as well as vivid settings, and character voices that ring clear and true. You’ll see what I mean when you read the interview! Please welcome Holly Robinson back to WFW! Author Holly Robinson Talks About Emotion, Mystery, and Names—Oh My! Amy: Is Haven Lake a real place or just a real place in the novel? I know all your novels are set in the same area of Massachusetts where you live. For Haven Lake, how did you decide on/come up with this specific setting? Holly: Haven Lake wasn’t a real place when I began the novel, but it feels very much like one now that I’ve created that world and lived in it. Setting plays a huge role in my books because I always feel that, by choosing the right setting, you can amplify the emotions in a novel. For instance, my first novel, The Wishing Hill, was set partly in Mexico and partly on the Massachusetts North Shore, because one of the characters in my novel is a painter who must travel between those two places as she tries to unravel the mystery of why the woman she thought is her mother is really someone else. I wanted the emotional shock she feels upon making that discovery to be painted in a very visual way on the page, by comparing the bright colors and heat of Mexico with the earthier, cooler tones of New England. Likewise, Haven Lake has a dual setting: the Massachusetts North Shore and the Berkshires. Haven Lake is the name of the farm where two tragic deaths—a suicide and a mysterious drowning—occur that shatter the commune of people living there in the 1970s. Now, when one of the main characters, Sydney, has to return to Haven Lake, she is besieged by her childhood memories of this place. 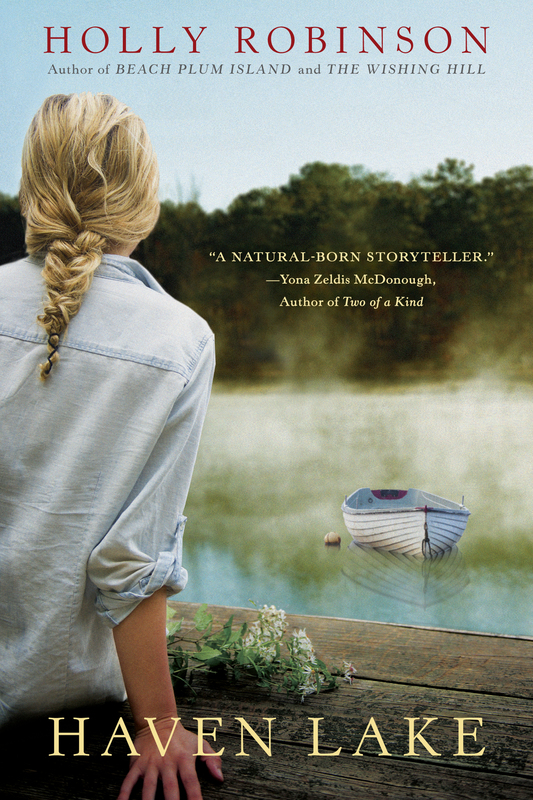 The dark pine woods, the stone walls, the pond, even the silhouette of the foothills around the farm all bring back memories, forcing Sydney to reexamine what really happened to cause those deaths—and her own life. Amy: Let’s talk character names? Did you choose your characters’ names or did they come to you with their name tags on? Holly: Ha! I wish I could say I had some ingenious way of devising names for my characters, but nope. Often the names are just names I like—names I didn’t get to use on my children, say, because my husband vetoed them, or names that evoke something because of what they mean. I have even been guilty of choosing short names because they’re so much less work to type. Amy: Your novels are always intertwined with a little family mystery and secrets. Do you know the secret when you start writing? And what do you take into consideration when determining the secret, and its reveal? Holly: I write what I call “emotional family mysteries” because I love to read mystery novels with great tension and forward momentum in the narrative. I also love reading literary fiction where the characters are fully developed, so that we can relate to them and develop new perspectives as we read about their conflicts and resolutions. I always know most of the secrets before I begin writing a novel for one simple reason: my editor requires me to write a synopsis before giving me a contract. When I consider what “big secret” is going to serve as the main plot line, I’m often inspired by true stories—often from my own family history, or from friends. The darker the better! However, I should add that, even when I know the big secret in advance and have written a synopsis around it, there are always other secrets and smaller reveals that happen along the way, surprising even me. I keep writing for the same reason people love to read: to find out how the story ends. Amy: I love the way Haven Lake has multiple points of view, including a teenage boy. Was this POV a challenge in any particular way? Holly: I found writing from this point of view came naturally. I have a teenage son, and he and his friends are often hanging around my house or riding in my car, so I have lots of opportunities to pick up on their language. I love writing from multiple points of view, because every one of your characters can describe the other characters in the book. That saves you from the old “she glanced in the mirror and saw that her long dark hair was…” sort of tired trick when you have a single point of view. Amy: In terms of foreshadowing, which you do very well, what’s your best advice to other writers who want to reveal a secret but don’t want to give it all away too soon? Holly: Always leave the reader wanting more! Typically, in my early drafts I overwrite my foreshadowing and flashbacks. These scenes are often clumped in the first half of the novel because I’m figuring things out as I write. During later drafts, I remove any flashback or foreshadowing I don’t absolutely need, and I try to distribute the essential bits infrequently enough that the reader is always being carried forward. My main objective is to keep the narrative tension high enough that the reader is compelled to keep turning pages long after she should turn the light out and go to sleep. 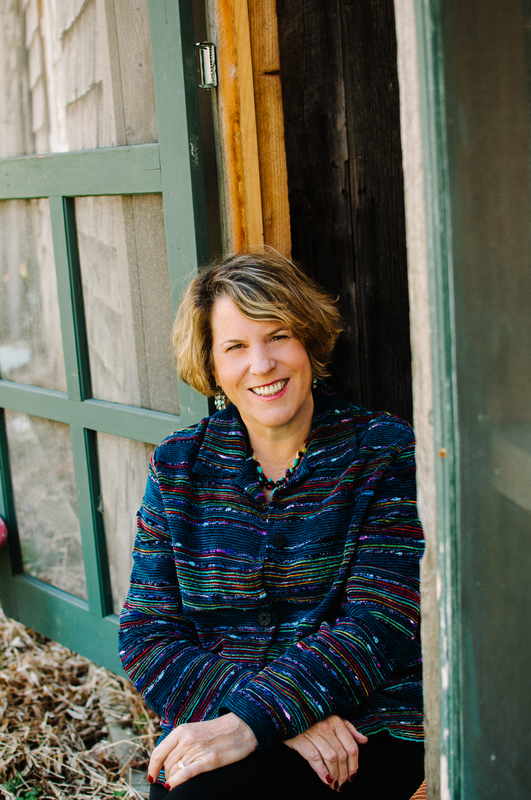 Novelist, journalist and celebrity ghost writer Holly Robinson is the author of several books, including The Gerbil farmer’s Daughter: A Memoir and the novels The Wishing Hill, Beach Plum Island and Haven Lake. Her articles and essays appear frequently in publications such as Cognoscenti, The Huffington Post, More, Parents, Redbook and dozens of other newspapers and magazines. She and her husband have five children and a stubborn Pekingese. They divide their time between Massachusetts and Prince Edward Island, and are crazy enough to be fixing up old houses one shingle at a time in both places. Find her at www.authorhollyrobinson.com and on Twitter @hollyrob1. Great interview, Holly. I particularly liked your comment, “there are always other secrets and smaller reveals that happen along the way, surprising even me. I keep writing for the same reason people love to read: to find out how the story ends.” I find the same thing in my own writing, and surprising myself is so much fun. I think, in part, our characters become almost real to us and therefore capable of turning the tables when we least expect it. One of the joys of being a writer! Now I HAVE to read Haven Lake! Thank you so much, Amy, for inviting me to stop by today–there’s no better way to celebrate a book launch than with YOU! And thank you, Susan, for taking the time to read and comment on the interview. I think you’re right that our characters become real to us–so much so that, when we’re finished with a book, we feel a bit bereft, don’t we? Thank goodness there are always more stories to tell! Thank you so much, Beth! And good luck with your rewrite! I’d love to see your article! Want to contact me by email? I’m at hollyrob1@gmail.com. You’ll love the next novel–it’s set just outside of Souris, near East Point, where we have a house. Thank you so much for stopping by Amy’s wonderful web site. I hope to hear from you soon. Enjoyed the interview. I had Haven Lake first think on my Kindle this morning and I am sure looking forward to reading it. Thank you so much, Ann! Be sure to let me know what you think of the book–I’m eager to hear from readers. My copy arrived today!!!! Can’t wait to read it. and never looking at the ground. Hussain’s tabla can support the bass harmonically but it doesn’t deal with chord changes. can breeze through without stress.